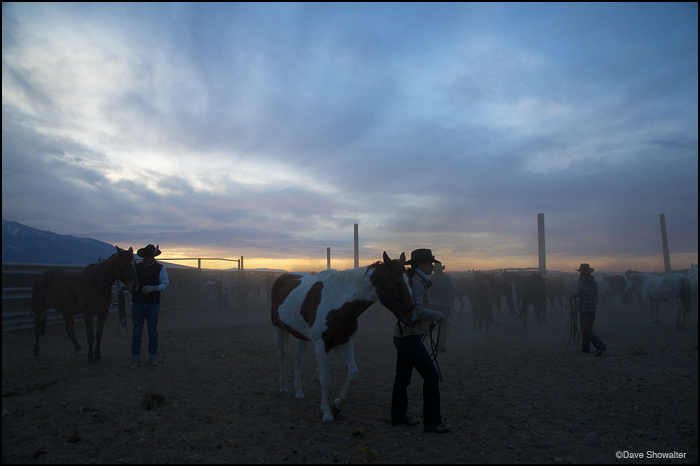 A rancher's day starts early as riders sort horses before dawn. The riders were preparing to gather bison at the annual autumn roundup. Photo © copyright by Dave Showalter.